Before we go into what has changed, let’s talk about what hasn’t changed, and that is our commitment to providing outstanding service and support to both you and your guests. Overall, we want everyone who visits ILeftMyStuff.com to have a seamless user experience and find exactly what they need in seconds. You can now quickly register your business, and submit or report a lost item by clicking the buttons in the top righthand corner of our website. Our website is also optimized for all devices, so it looks great on your phone, tablet, and computer. We’ve added two Frequently Asked Questions pages, one for businesses and one for guests, as well as a Resources Page where we will share helpful articles, educational videos, industry news, and other updates. We look forward to hearing what you have to say about our new website. Be sure to leave your comments below! 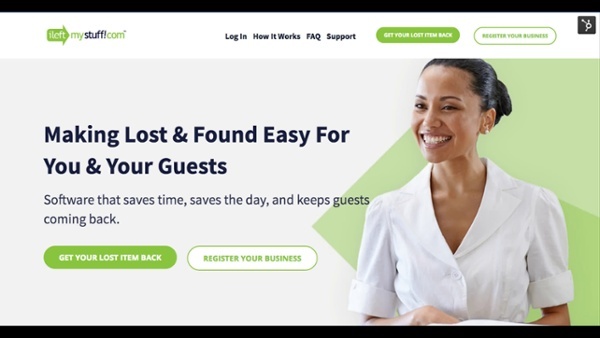 At ILeftMyStuff.com, we understand dealing with lost and found can be frustrating and time-consuming for businesses AND their guests. Our free solution simplifies lost and found and reduces your workload by 80%. Start saving time and saving the day for your guests with ILeftMyStuff.com! Stay in the know by getting industry news ILMS updates sent straight to your inbox.